I’ve recently updated our FAQs page for the clear or smoked lends amber LED turn signal lamps with white LED position lights for the 1990 and up Mercedes W463 G-Class. As I was typing the installation, I was browsing the shop at the same time and found we have a good collection of LED lights to offer for the Mercedes G-Class. All of these LED lights combined makes your Mercedes G-Class look decked out and highly visible no matter where you are or when you’re driving. For full details of each LED light, click on the hyperlinks of the product to go to its product page, or see them all at once in our search result page. 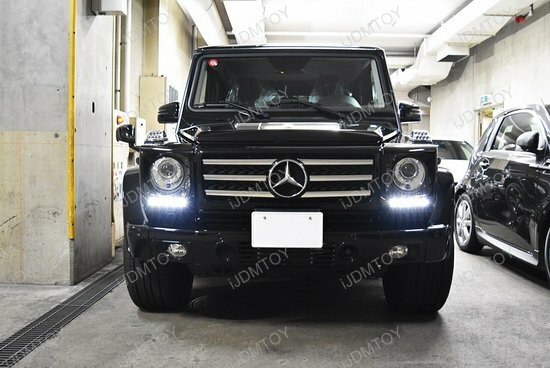 Here are 5 LED lights that you can equip to your Mercedes G-Class. 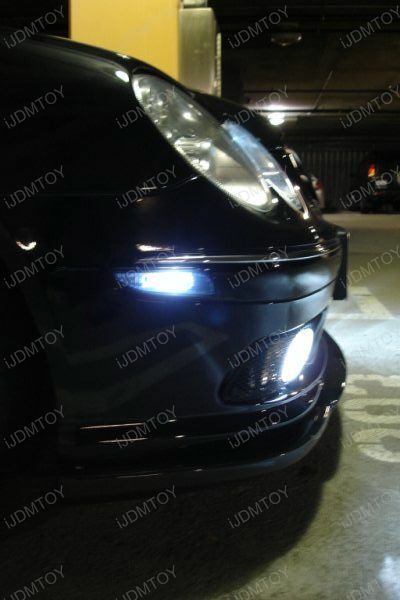 Mercedes CLK350 with LED and HID everywhere! A customer of us installed the complete Ultra Blue LED interior package, Xenon White LED parking city lights, LED sidemarker lights and HID system for his Mercedes CLK350. I post his pictures here and hope you guys will like this.